The Andy and Megan Gormans, that is. My brother and his wife came for a visit recently. Like four weeks ago actually. Yeah, I’m a little behind. And we took pictures! Seven or eight of them! Here are two or those. 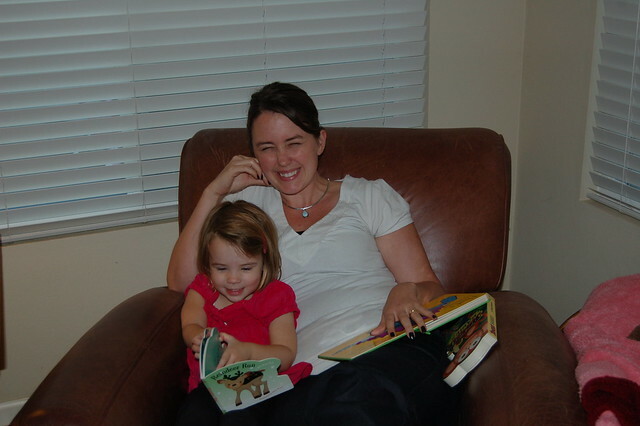 Clearly Abigail and Megan had a nice time with books. Books about reindeer. 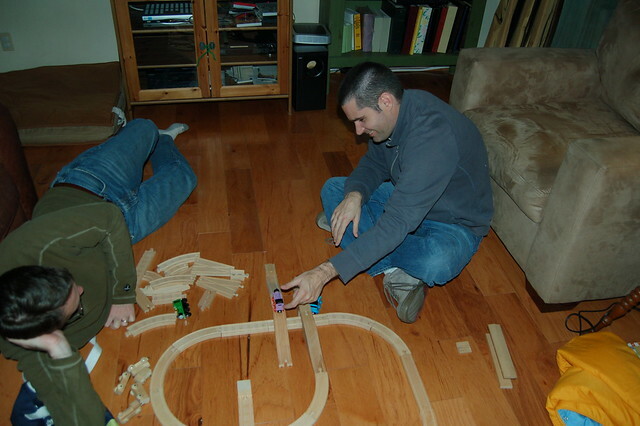 Andy and I, on the other hand, spent all our time building trains. Or so it would appear, based on the photographic evidence we have. I have vague recollection that there might have been beer and sports and maybe some driving in the rain. But no, photos don’t lie. Just trains. This entry was posted in Abigailia and tagged Andy, Megan, Reindeer, Trains. Bookmark the permalink. I am jealous. Abigail does not run away from Megan. Considering she wouldn’t even look at either of them for the first half day or so, you already had a leg up today.